Conservative MP Rob Anders has apologized for saying Tom Mulcair hastened the death of former NDP leader Jack Layton after he told a reporter Mulcair forced Layton into fighting the 2011 election. 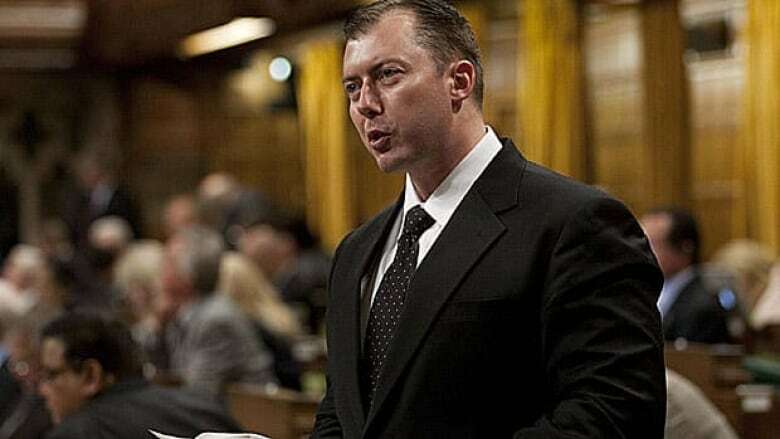 Conservative MP Rob Anders has apologized for saying Tom Mulcair hastened the death of former NDP leader Jack Layton. Anders told iPolitics.ca that Mulcair, the current NDP leader, had "helped to hasten" Layton's death by making it clear in 2011 that he should step aside if he couldn't fight the last federal election. Anders said that was clear to him from watching the two men in the House of Commons. Layton's widow, New Democrat MP Olivia Chow, says she accepts Anders's apology, although she says he hasn't called her directly. "He may not be able to reach me, so I'll go over and say hi to him," Chow told reporters before heading into the House of Commons for question period. "I'm glad that he decided that it was not the most sensitive thing to say. Maybe he can sponsor me for the 5k run. I need some sponsors for Prostate Cancer Canada," she said, referring to a fundraising race she's participating in this month. In a one-line statement released early Monday afternoon, Anders said he was sorry. "My comments in iPolitics with respect to Mr. Mulcair and Mr. Layton were insensitive and inconsiderate. I apologize to Mr. Mulcair and to Mr. Layton's family," Anders said. Layton died in August 2011, just months after leading the NDP to official opposition status in the House. Neither his family nor the party have revealed the type of cancer that killed him. He had already fought prostate cancer and insisted before the election that his health was fine, despite a hip injury that required surgery and left him using a cane throughout much of the campaign. Last March, Mulcair won the race to replace Layton as party leader. Anders told iPolitics that one of the great stories journalists were missing was "that Mr. Mulcair, with his arm twisted behind the scenes, helped to hasten Jack Layton’s death." "It was very clear to me watching the two of those gentlemen in the front benches, that Jack Layton was ill and that Mr. Mulcair was making it quite obvious that if Jack wasn't well enough to fight the campaign and fight the election that he should step aside, and that because of that, Mr. Layton put his life at risk to go into the national election, and fight it, and did obviously an amazing job considering his state of health, and that he did that partly because of the arm-twisting behind the scenes by Mulcair and then subsequently died," iPolitics reported Anders as saying. Chow says she appreciates Anders's concern about Layton. "There's nothing I wouldn't do to make Jack live longer. So to all conspiracy theorists: cancer is unpredictable, it's vicious and it kills. Let's put aside the theories and let's work for a cure for cancer," she said. Anders, the MP for Calgary West, has been in office since 1997 and has often been a controversial figure. In 2001, Anders was the only MP to vote against giving former South African president Nelson Mandela honorary Canadian citizenship. He called Mandela, who led South Africa's fight against apartheid, a terrorist. Last spring, Anders was kicked off the Veterans Affairs committee after falling asleep during a presentation on veterans' homelessness. When the witnesses complained, Anders called them NDP hacks who praised Vladimir Putin. In November 2011, Anders was caught on camera, sleeping in the House. His office said at the time that he had been in a car accident and whiplash was taking a toll on him. Storify'd: Rob Anders said what now?